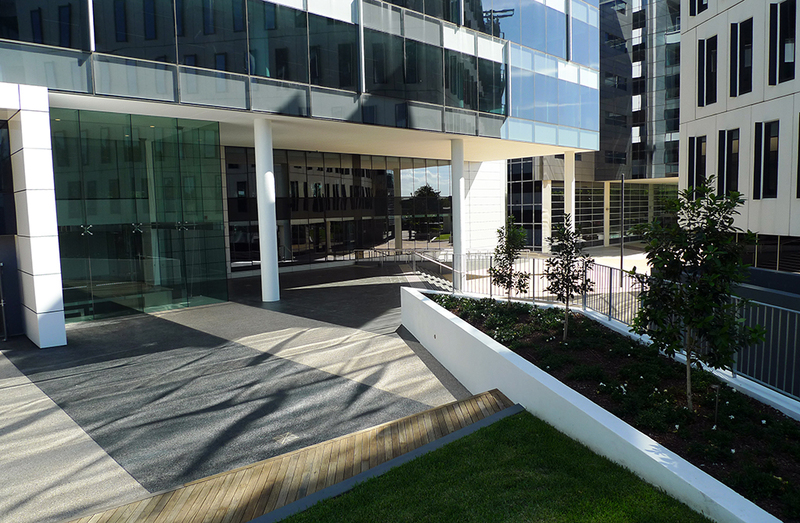 Building F was the final office tower building to be constructed within Australand’s Rhodes Corporate Park commercial office development. 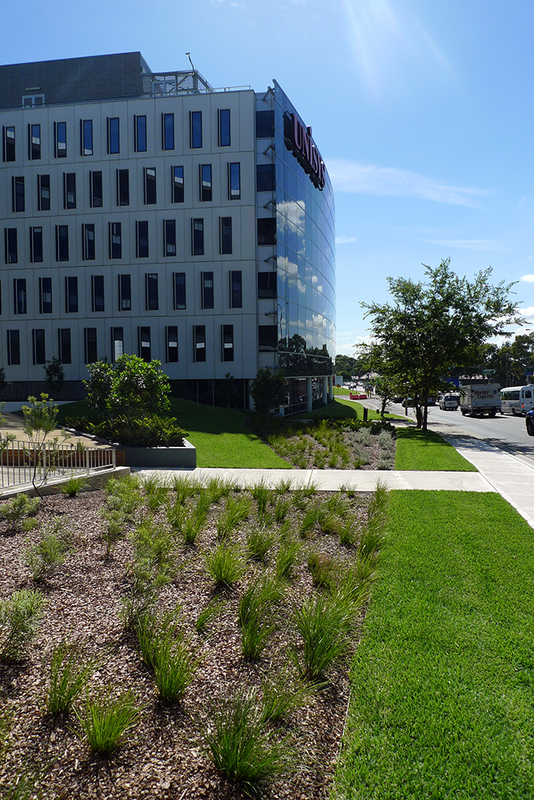 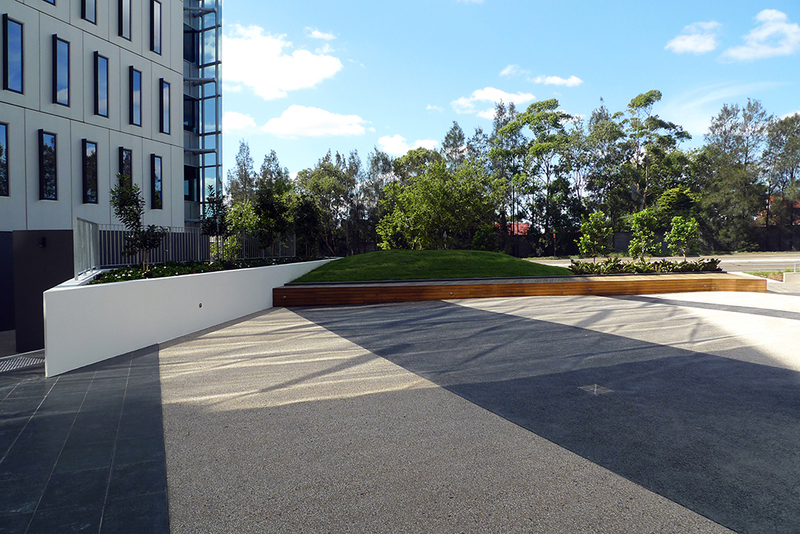 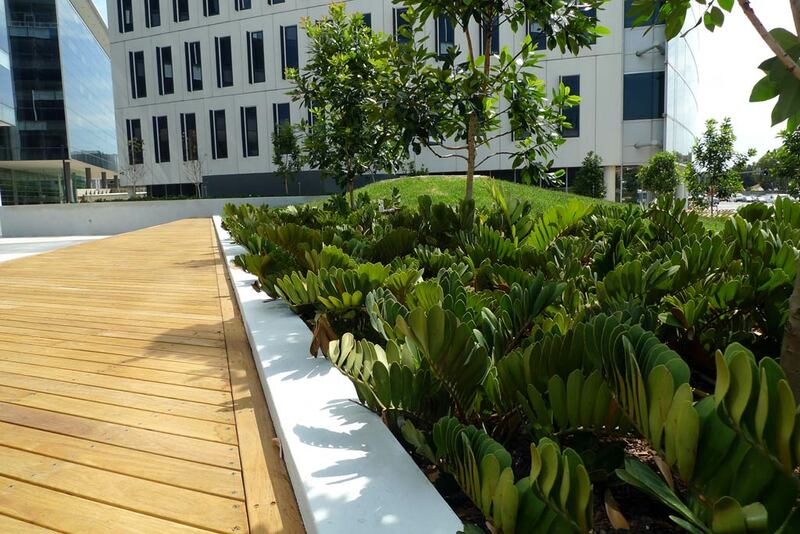 Whilst the new building benefits from the nearby established campus landscape, the immediate environs of Building ‘F’ feature a unique landscape treatment based around the building’s podium and its frontage to Homebush Bay Drive. 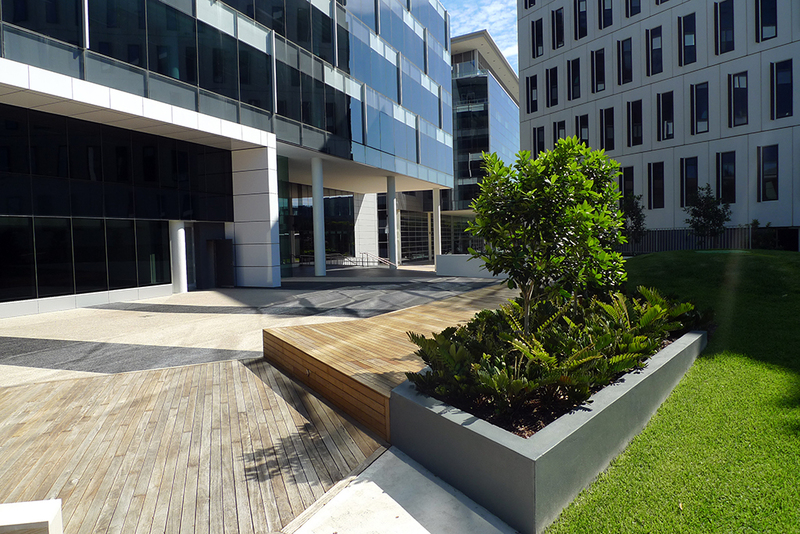 Notable elements of the landscape design include sculptural raised planter boxes, dramatic banded concrete paving finishes, mature specimen tree groves, massed shrub plantings and extensive timber decking and seat structures. 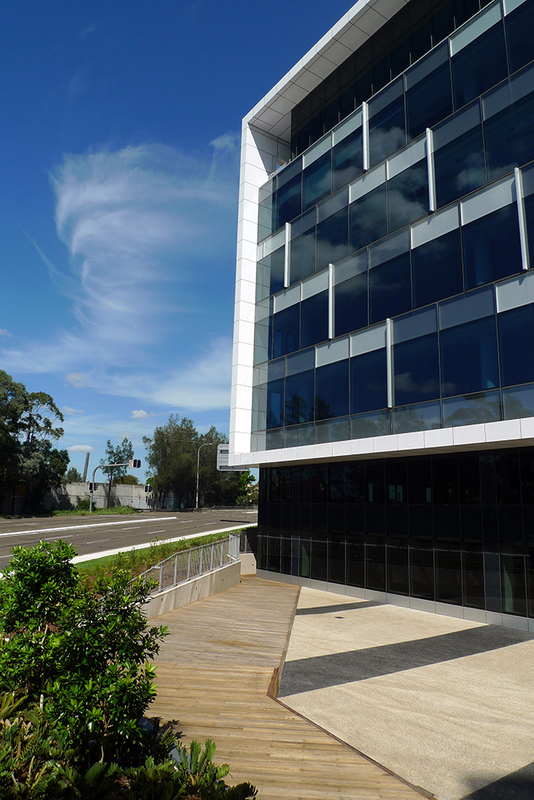 Construction of this project was completed at the end of 2012.